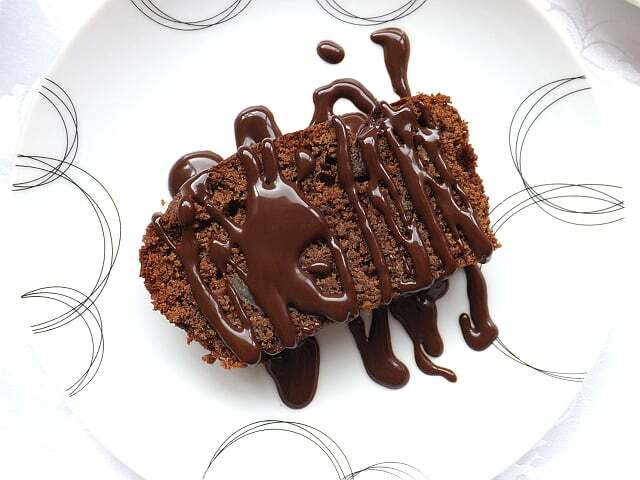 I have decided to set myself a mini challenge for the next few weeks, to bake using chocolate. A strange thing to say considering its chocolate, but I honestly don’t use it very much. I am very much a fruit or caramel or spice kind of girl, when the dessert trolley comes my way I’ll always look for the fruitiest option, and bypass the chocolate cake all together. So I’m going to explore my chocolate options for the next few weeks and see what I come up with. Don’t get me wrong I do like chocolate very much and enjoy eating it in bar form a lot! We all love a bit of chocolate; we can’t help ourselves there is just something that calls to us when the word chocolate is mentioned. 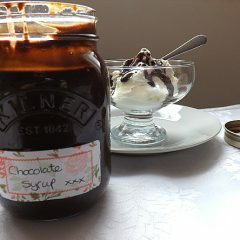 Homemade chocolate syrup was like a revelation to me when making it I didn’t think I’d have much use for if apart from putting it on ice cream. And oh boy is it good on ice cream! 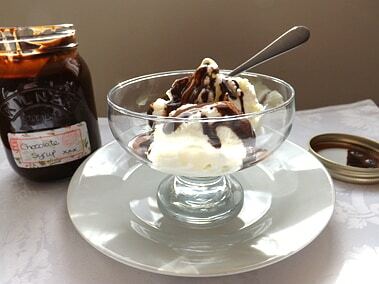 As an ice cream sauce it is amazing, bring a real chocolate hit to vanilla ice cream, up the chocolate flavour in chocolate ice cream or give coffee ice cream a mocha twist. 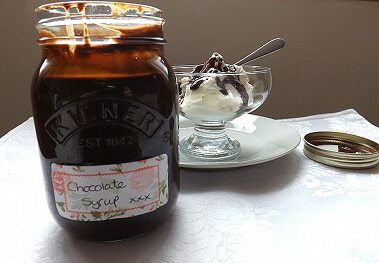 Whatever wonderful flavour ice cream combination you can think of, a little chocolate sauce really blings the dish up. 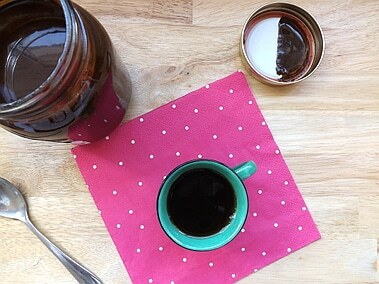 But it has so many more applications it can be used for, added to coffee its like having an easy homemade mocha. For the kids, or adults who are still really big kids it makes a really good chocolate milk and you know what’s gone into it as you have made it so you don’t have to worry about mystery chemicals being fed to you kids. 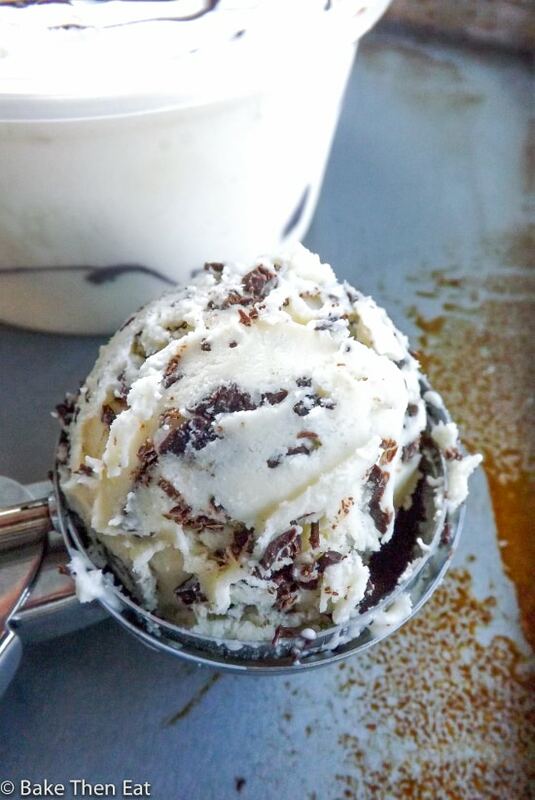 There are so few ingredients in this and it can be made in 10 minutes. 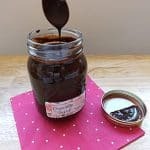 A jar of this homemade chocolate sauce can be kept in the fridge for up to 6 weeks, yeah good luck on keeping it that long! And it would also make a really good foodie gift for any time of the year. 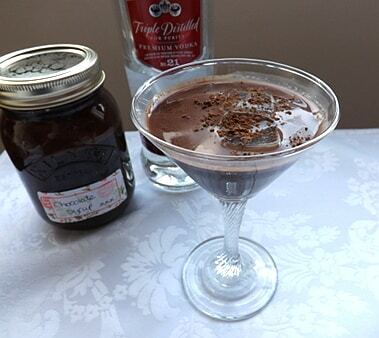 And one for the adults here, if you fancy being a little naughty when the kids have gone to bed or when friends are visiting this makes a really good chocolate martini. Just pop a couple of glasses in the freezer for at least 15 minutes and grab a cocktail shaker, or a really large glass and a side plate to cover the top. And shake well. 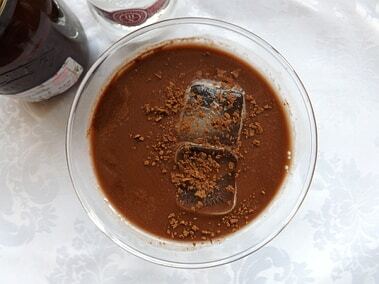 Pour into the frozen glasses and dust with cocoa powder. This will make 2 large martinis. Extra ice is optional. 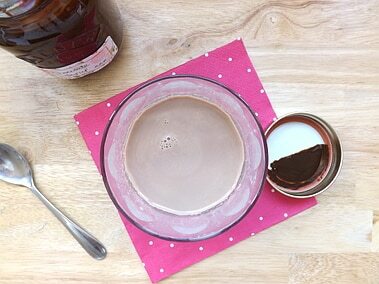 So on to this simple homemade chocolate syrup. 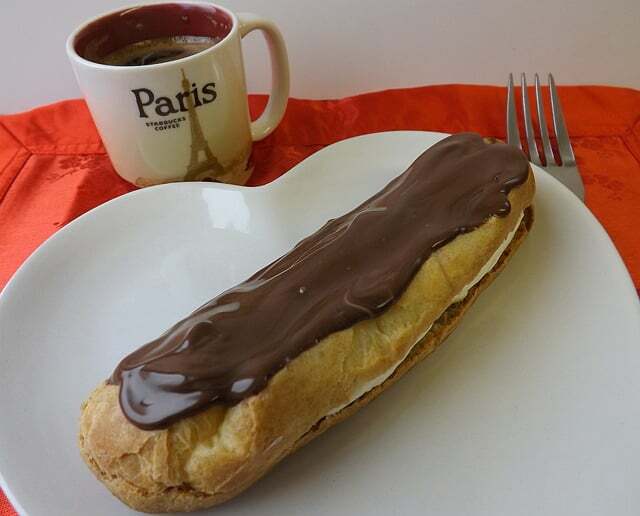 A devine liquid chocolaté with a multitude of uses. Place all the ingredients in a pan together and over a medium heat mix everything together until the sugar has melted and everything is incorporated. Once done allow the syrup to cool for 10 minutes in the pan. 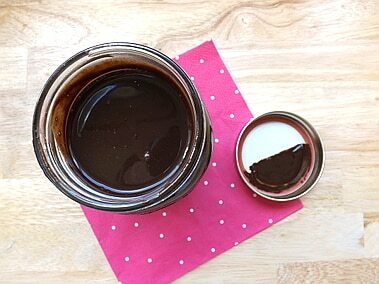 Once the time is up pour the chocolate syrup into your chosen jar or bottle. 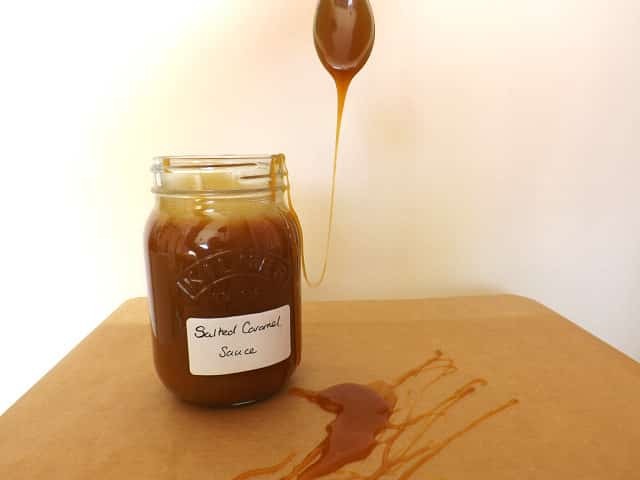 *Just a quick note the first time I made this I used an old wine bottle for storage and when I went to use it, it wouldn’t pour out of the bottle it had formed a skin. Panic not if this happens to you, just add 2 tablespoons of boiling water to the bottle and give it a gentle swirl or stand the bottle in warm water for a minute or two. I keep mine in an old jam jar now and I have never had this problem again. 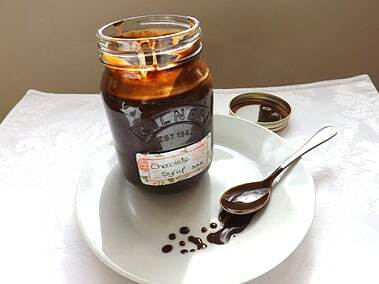 Hi Nicola, thanks for stopping by 🙂 I’ve really grown to appreciate chocolate and how versatile it can be. I’m definitely going to be using it more in the future! Hey! I was wondering if you could use chocolate chips instead of cocoa powder and how much you would need? Hi there! This sound so simple and I plan on trying it soon. I was just wondering though how to store it, and how long it generally will keep for? If I had actually read the entire post not just the recipe i would have seen that already! Sorry!! 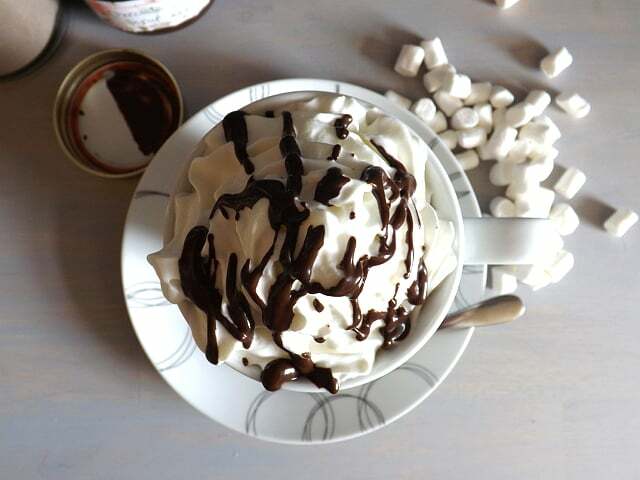 Hi Melissa, no worries we have all made that mistake before 🙂 I hope you do make it and enjoy it, its super yummy on ice cream and really good in coffee. Oh, this is so naughty! Chocolate booze indeed! You are a bad, bad woman (but in a good way). LOL. 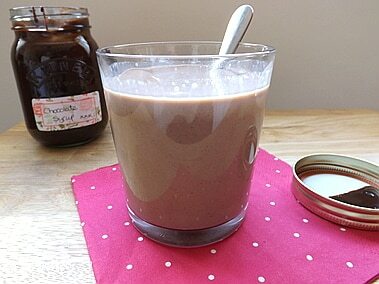 Hi Kelly, thank you, it is a wonderful recipe as it is so quick and easy to make. It was really good on vanilla ice cream and I’ve also drizzled it over cake 🙂 it was good!